Our little girl was diagnosed with Proximal Femoral Focal Deficiency when she was born. We saw Dr. Paley when she was nine months old and he put our fears to rest! He immediately had a game plan in place and assured us he could help our daughter. 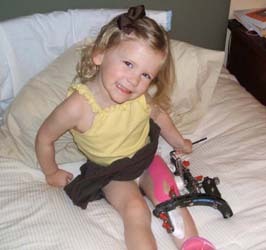 She had a hip and knee surgery with him when she was two and her first limb lengthening surgery when she was three. Thanks to Dr. Paley and his team, she now has two even legs for the first time in her life! I cannot say enough about Dr. Paley! He is an amazing man and is an expert in his field. I would entrust my daughter to his care at any moment and would without reservation recommend him as well. We are very grateful for the difference he has made in our daughter’s life! 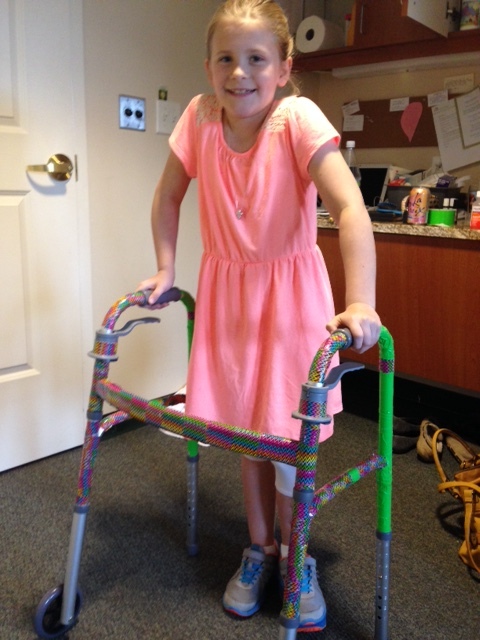 Lillie is now almost 10 and we are currently going through her second limb lengthening with Dr. Paley. We have the internal device this time around and so far things are going very well. Ten years later, we still wholeheartedly stand behind our support and endorsement of Dr. Paley and his team. You will not find a man more knowledgeable and capable in this specialized field. We will forever be indebted to him.